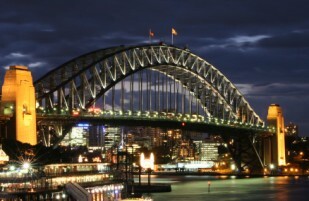 The Sydney Harbour Bridge is a breathtaking sight bringing the North and South together with its graceful arch. 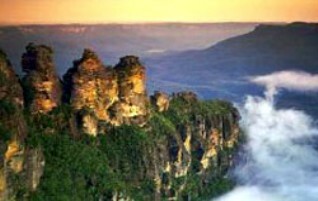 The beautiful Blue Mountains are just an hour away from Sydney. It is amazing that this wilderness exists so close to a city as big as Sydney. There are several National Parks, Zoos and Reserves in Sydney where you can experience Australia's wildlife. The City of Sydney has many green places where you can relax and soak up the amazing views. 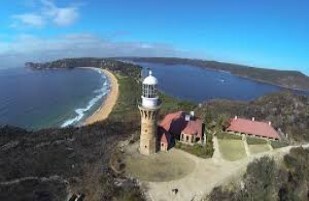 Just north of Sydney lies the picturesque Northern Beaches or "God’s Country" as the locals call it. One city, so many wonderful places, we must be blessed. There are many fun, free and romantic things you can do in Sydney. So how do you decide which ones to do? Below you'll find the best attractions, activities, festivals and events. Click "Read more" on the ones you like the look of for more information. 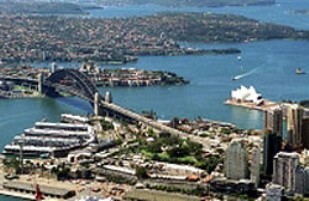 If you hitch a ride on a ferry or cruise you get see Sydney at her best. Anytime on Sydney Harbour is time well spent but if you are fortunate enough to witness the sunrise or sunset then you are in for a treat. A trip to Manly's Shelly Beach on the Manly Ferry is a fantastic way to spend the day and one of the top things to do for visitors and locals alike. 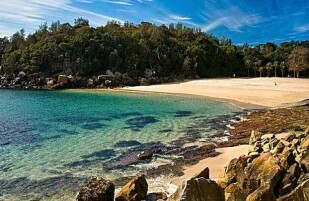 Even if you're not the beach going type it's hard to resist a trip to see one of the most famous beaches on the planet. 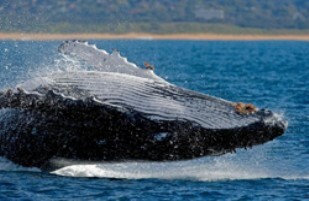 Come to Sydney to see the whales or have the whales come to see us? This is a wonderful combination of nature’s majestic giants from Sydney’s majestic shores. Unforgettable. What to do during the School Holidays with the kids. The Sydney Harbour Bridge will not disappoint you no matter how you experience it. If you choose to climb it you may never forget it and it is a lot easier than it might first appear. It is possible to experience the Blue Mountains in a single day. But it is well worth spending at least one night there if you can. A scenic flight over the harbour will give you unbeatable views of this amazing city. Palm Beach is just awesome. You'll find it ranked 8th. Skiing in Australia has its own unique appeal. 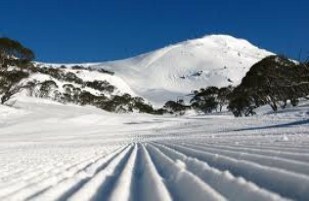 The ski fields are just an easy 5 hour drive from Sydney. 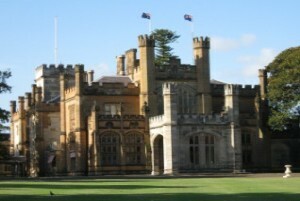 Government House is a brief walk away from the Sydney Opera House. It is one of the many free things to do in Australia's greatest city. 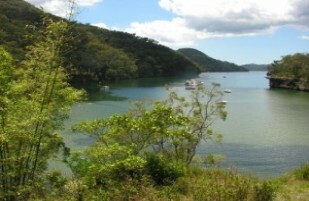 Just north of Sydney is a place of outstanding beauty not to be missed. 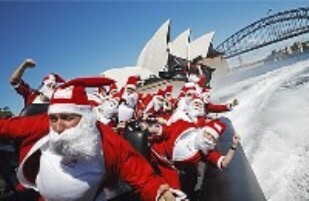 Great time to be in Sydney. 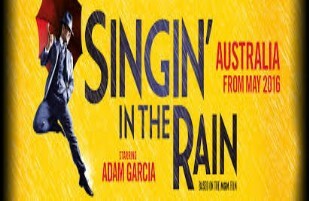 Things to do in the Rain in Sydney. Spend your time on the best Sydney has to offer. You may be surprised to discover that many of the top things to do are also free. 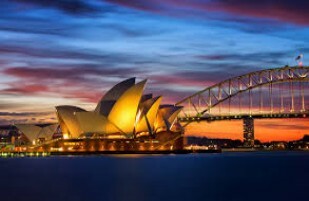 Sydney100 is only independent guide to the most beautiful city in Australia. The rankings on this site can’t be paid for or inflated by biased reviews. 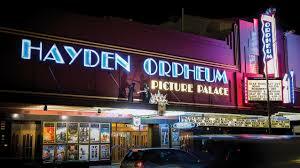 Make the most of your time and experience the best of Sydney. We hope you enjoy Sydney and benefit from local knowledge. If you disagree with anything on this site or have a comment to make please let us know. If you subscribe to the Sydney100 Newsletter you can reply with your own suggestions and ideas! "Love this site. You guys do an excellent job and I love your humour! You have a great site and I only wish I knew about it sooner". Sue "You do a great job and your site is a huge help for visitors... I just wish you had a print-friendly option". Gillian [There is - Australia's Best Travel Guide!] "This site is 'fabbo' - a real "one stop shop" for great ideas... I use it to death when we have visitors."